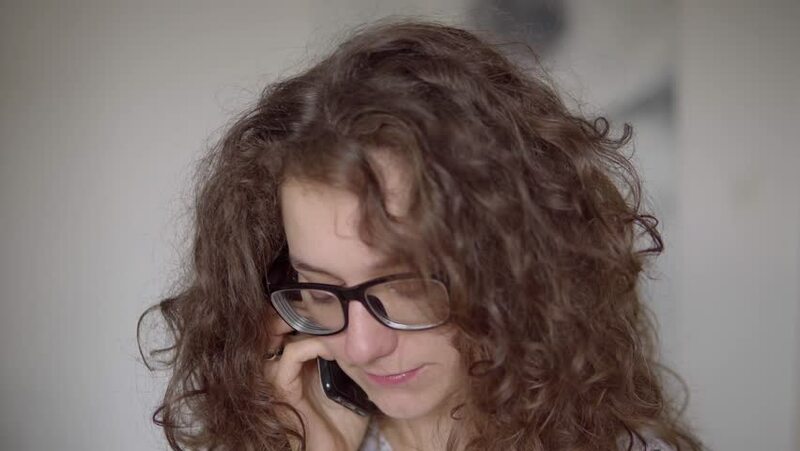 curly-haired girl in black glasses talking on the phone. close up. against the blurred white wall. a girl waves her head back and forth and talking thoughtfully. hd00:13Young beautiful woman with stress isolated on white. RAW video record.